He grew up in Nelson Place, Brighton (yes, the one mentioned in Brighton Rock). It was a turning off Carlton Hill, but no longer exists having disappeared in a slum clearance programme in the 1930's. It was not the best of places - Dad said that individual houses did not have their own lavatories, you had to go to the end of the road. It was also dominated by the smell of the local herring factory 'the herringees'. In 1931 the family moved out to Fletching Road, Whitehawk, but this too has since been demolished (in the 1980's ?). Dad's education began at the Nun's school ie. a Roman Catholic primary school (I think it was probably the school attached to St John the Baptist RC church in Bristol Road - but sorry, this is just a guess.) It was the sort of school where boys of many different ages would be in the same class - you moved on to the next class on the basis of what you had learnt, not on the basis of age. Brighton had many Italian immigrants, naturally also Catholic, so many of the boys would have only spoken poor English. Next came the 'Intermediate School' (haven't a clue what or where that was). I seem to remember him saying that the curriculum included such things as typing and shorthand. He seems to have been quite keen on sports - he certainly talked about boxing, and about winning a prize for gymnastics. He was also a cricketer both before and after the war. I'm sure that he was a footballer at some time (goalkeeper ?) - after the war I remember him being 'the man with the magic sponge' for his team. His first job on leaving school was as office boy in a garage - from which he was sacked. He had muddled up two customers with the same name. Next he was office boy for 'Old Braddy', a builder, and it must have been at this time that he started studying to be a surveyor. He started work for HP Powell's firm of surveyors in Brighton in 1938 and returned there after the war. He joing the territorial army when WWII started to look imminent, and so found himself in the regular army fairly soon. He was always in the Royal Engineers, initially as a surveyor's clerk. He went to France early in the war and returned via Dunkirk (which was early June 1940). 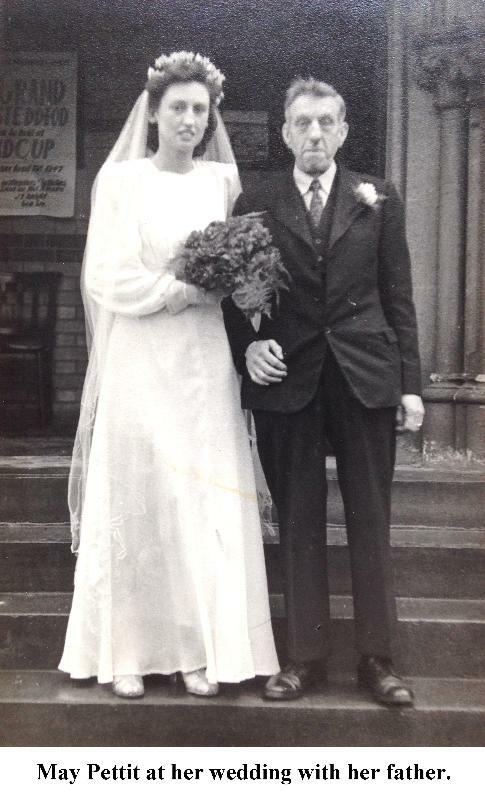 In August 1940 he married Lilian Barnes, who I believe had long been a 'childhood sweetheart'. Probably not long after that he was posted to Persia, getting there in a very long and slow sea journey in a convoy via the Cape of Good Hope. He was in Persia with 'PAIFOR' (= Persia and Iraq Force ?). The main object of the army in Persia was to ensure that supplies could reach Russia by this route. In the early stages the army seems to have been dominated by old regular soldiers and was no great fun, but progressively he seems to have settled in and eventually quite enjoyed himself. He was able to continue his surveying studies by correspondence, and by the end of the war had the rank of Staff Sergeant. A highlight of the period in Persia was when he was able to take some leave and visit Palestine (ie. the modern Israel). This involved a long trip across the desert through Iraq and Syria in a convoy of army lorries. The route certainly took in Baghdad, Babylon, Dasmascus and finished up at Jerusalem. He always had his camera with him and has left a large collection of pictures - unfortunately mostly without any information to say what they are ! While in Persia he received what is known as a 'Dear John' letter from his wife to say that she had met someone else. As a result he obtained a posting home shortly afterwards. By this time the war was near its end and he was able to travel back through the Mediterranean, but it involved a stay in a army transit camp near Toulon :- a long period with nothing to do and with the army bureaucracy not quite up to paying people while they were on the move. Their first home was the front bedroom at Fletching Road, Whitehawk, where they lived when Chris was born. By 1949 they had moved to 33 Carden Hill, where I (Allan) was born. The family stayed there until 1956. In 1948 Dad passed his surveying exams and became an 'ARICS'. He continued to work for Mr Powell until 1950 when he moved to Dearle and Henderson in Hove. In 1952 he joined the Civil Service and started commuting to London to work. Round about 1955 he seems to have had itchy feet and was looking for a change. He even considered rejoining the army - and there is a photograph somewhere of him back in uniform, presumably on some sort of recruitment exercise. This plan didn't come to anything and he found a new job in Plymouth with John Laing (then a major firm of builders). Apparently he accepted this job without telling Mum that it involved moving to Plymouth ! While in Plymouth the family lived in a rented house at 10 South Hill in the Stoke Damerell area. The stay did not last long; it seems that Grandma Pettit was not keen on her daughter being so far away and insisted that Grandad Pettit was going downhill fast. 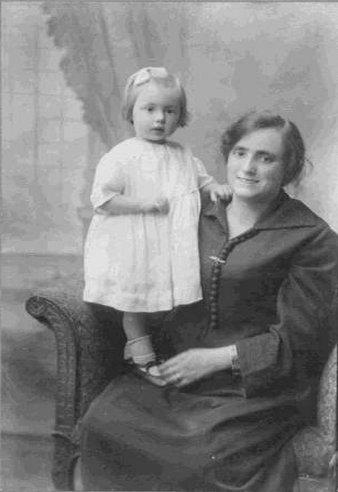 After about 6 months Dad returned to his job in the Civil Service in London, and the family moved in with Grandma Pettit at 41 Norfolk Crescent, Sidcup. A year or two later we moved to a much larger house at 41 Willersley Avenue, Sidcup, still sharing with Mum's parents. 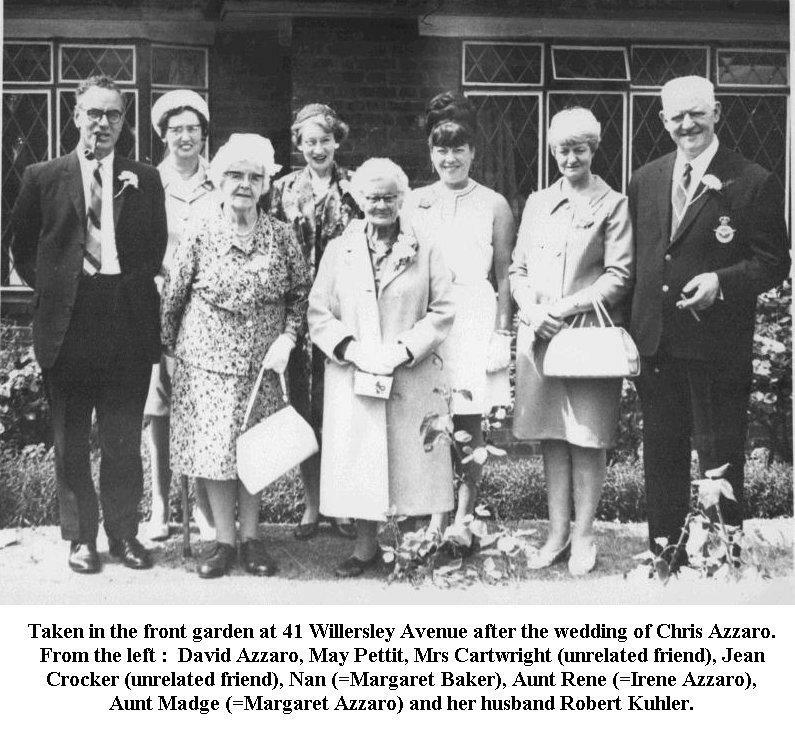 Mum and Dad remained at Willersley Avenue until both Chris and I had left home (by which time both of Mum's parents were dead). In about 1969 they moved back to Brighton living at 181 Surrenden Road, and remained there for the rest of David's life. He continued working at the Ministry of Public Building and Works (later the Public Services Agency at the DoE) until he retired at age 60. In the late 1960's he studied at the LSE as an 'evening course' student for a degree in Economics which he gained in 1970. He was elected a fellow of the RICS in 1975. After retiring from the Civil Service he found another job as a lecturer in Quantity Surveying at Thames Polytechnic, which he continued for a further 5 years. There were also various other committee and consultancy jobs during this time. By the time of his death in 1967 he had retired from Thames Polytechnic but still was still working at one or more of these jobs. On the day of his death he was getting ready to go to London to give a lecture, but appeared to suffer a stroke and fell down the stairs. He never regained consciousness and died a week or two later. Mum regrets that her last words to him on hearing the fall were "What have you done now, you silly man ?". The following note was printed in the 'Chartered Quantity Surveyor' Journal in May 1988.
' I was deeply shocked to learn that David Azzaro had died suddenly on 12 March as he had been attending a meeting in my office only a few days earlier. David, a public service QS, was known to many throughout the profession for the part he played, particularly in the research and development activities of the DoE and later, as deputy chief QS at the PSA. On his retirement from PSA he became a principal lecturer at Thames Polytechnic where he passed on his knowledge and experience to many students. 1. I have a copy of her birth certificate. She was born at 7 Kerry Road, Deptford North. 2. In her early childhood she had some problem of deformation to her feet or legs. According to Uncle Frank her feet pointed in opposite directions - "You couldn't tell which way she was going". As a result she remembered spending some part of her childhood in a wheelchair with very little padding or suspension and being bounced up and down every kerb. 3. I believe she attended Dartford Grammar School. 5. I remember that the places she worked during the war included Bridgnoth and Bodelwydden (North Wales). She was somewhere near Tonbridge Wells on VE day. Later she was working in some Army administrative job in Worthing when a certain David Azzaro turned up needing assistance with divorce papers after his first marriage. 6. At the time of her marriage she lived at 41 Norfolk Crescent, Sidcup, Kent. Her profession was Export Merchant's clerk.